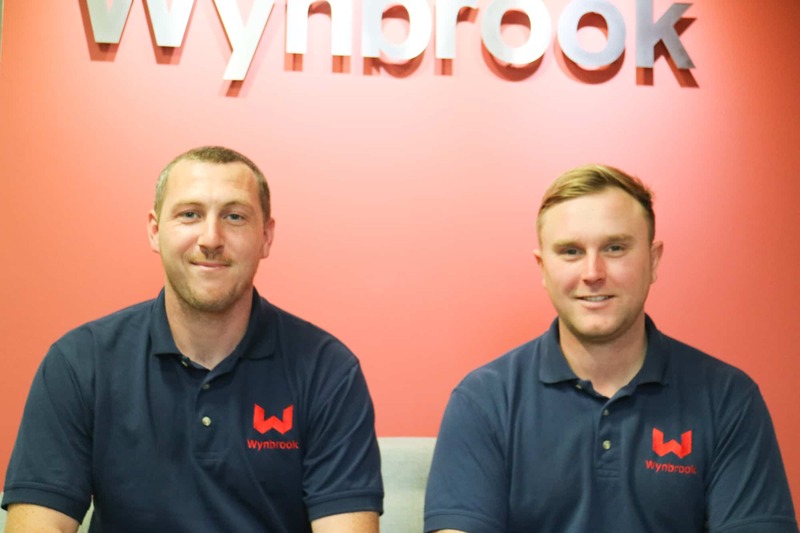 Due to continued expansion, care home builders and residential property developers Wynbrook has appointed two new specialists in site management roles and is also investing in the career development of two existing employees through external training programmes. The two new hires are Darren Tonks (right) and Joshua Brookes (left) who have joined Wynbrook as an Assistant Site Manager and Trainee Assistant Site Manager. Darren has a wide range of commercial building experience and was previously an assistant site manager for Wildgoose Construction. His first role with Wynbrook will be to assist in the site management of a new 70 bed care home development which is currently under construction at Earl Shilton, Leicestershire. Wynbrook is also supporting the ongoing career development of Sarah Morris and Michele Annison. Office administrator Sarah Morris is attending a 2-year construction and built environment course to provide her with enhanced construction knowledge and assist her in providing support to Wynbrook’s office and site-based staff.